I have always wanted to make a difference, and I am caring therapist with experience of understanding difference and diversity. I have experience working in many different roles as a professional Supervisor, Counsellor, Counsellor Coordinator, Trainer and Facilitator both in group work and one-to-one therapeutic sessions. Previously, I set up a counselling service within a Children’s Centre aimed at providing a safe space for parents to access. I have a successful private practice and I am employed to work in higher education, supporting adults and young people. My learning is continuous and this experience is recognised by my governing body the British Association For Counselling and Psychotherapy (BACP). I am an accredited qualified Psychotherapist/ Counsellor and Supervisor. I have experience of offering Supervision to Professionals, Mangers, Counsellors, Head teachers, Counselling for Staff and therapy to Children in Schools. Supervision for those in education is a way of supporting staff to enable well-being and aid professional and personally growth. It is facilitative and restorative, helps to build resilience, skills, and helps to develop deeper levels of communication within their team. In May 2016, I was awarded ‘accredited Counsellor, Psychotherapist’. In my private practice I work alongside education and often receive referrals from external agencies. I have also worked for Child Action North West, Rossendale School, Clayton Brooke Counsellor Coordinator, bank work for the NHS, Place 2be and a lead role supporting a counselling service within a Children’s Centre. All these roles are working with both adults and children. 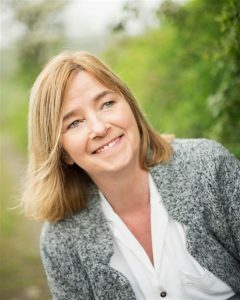 I am an accredited Counsellor, Psychotherapist and I have been developing my skills in counselling for the past ten years, using an integrative approach. I have completed my level 6 in Clinical Supervision and level 5 in Psychotherapeutic Counselling with the Counselling and Psychotherapy Central Awarding Body (CPCAB). The level 6 in advanced specialist training in Clinical Supervision enables me to follow a core model, Hawkins and Shohet and Page & Woskett, the model is based on all the aspects of supervision to help provide structure and explore difference through lenses. The level 5 course has enabled me to work with a wide range of complex psychological health problems. The training undertaken with CPCAB is recognised by BACP and UKCP for the professional high standards of training and equips me to take on a senior role in an organisation. Level 4 – CPCAB, two years training which gives me knowledge, skills and competencies to work safely as a qualified counsellor. Level 3 – Level 2 CPCAB, one year training intended for individuals who have already acquired a recognised qualification in counselling skills. I have completed numerous courses aimed at working with adults and children since starting my training in 2008 and this is continuous. I have also undertaken further vocational courses which has given me the knowledge and awareness to practice safely. I have completed the child protection awareness course to enhance my understanding working safely with young people.